This guide will walk you through setting up a site with our Kerygma theme. Upon installing and activating the theme, you’ll be redirected to the Theme Options page. This screen gives you the ability to set the options that are built into the theme such as appearance, branding, and podcast feeds. These options include the logo, navigation menu, sticky header (Background color can be changed in Appearance > Theme Options > Header), shortcut favicons and hero section fonts. The background tab allows you to set a background color and optionally a background image. This is not where you add an image for the hero section at the top of each page. Those will be added by editing those pages directly. This tab gives options related to the main content area of the theme. Add custom text for your footer here as well as colors. To add social icons, you’ll need to create a navigation menu (see that section below). Colors and fonts for sidebar widgets. Set the colors of your buttons (hover and regular state). These options allow you to enter the information for your podcast audio feed. It works with the Podcast Audio Feed template to create a feed you can use to allow visitors to subscribe to your podcast. Essentially the same options as the audio feed, just for video instead. The advanced tab offers the ability to change the URL for your staff section, turn off Google fonts, theme updates and add any custom CSS. The buttons to save the theme options are at the bottom of the page. You can create a backup of the options too. In the appearance section you’ll see a menu item for Options Import/Export. There you can create a backup of your options, or import previously saved ones. To set up your homepage, first go to the pages section in your WordPress control panel and select Add New. Look in the right hand column of the Add New screen and you’ll see a drop down menu for template. From that drop-down choose “Home” and publish the page. Next go to the Settings section in your WordPress control panel and choose reading. At the top of this screen you can choose what your front page displays. Choose a static page and then from the top drop-down menu there, select the homepage you just created. Kerygma’s homepage includes 2 different layouts. The first and newer one (2018 redesign) is built using the free SiteOrigin Page Builder. This means that you can create and edit the layout to your desired one by dragging and dropping sections, rows, columns, widgets, and more. Keep reading to learn how to use the page builder. Ensure that you have installed the recommended plugins after activating Kerygma. There are 2 ways to control what widgets show up. Edit the homepage (and any other page, including new ones that you create) and begin using SiteOrigin Page Builder. There’s a great tutorial detailing how to get started with this free page builder. Widgets are added by going to the Appearance section and selecting Widgets (Or Appearance > Customize > Widgets for the live view). The section in the middle lists the available widgets. The portion on the right has the widget areas in the theme. The default sidebar will appear on inside pages/posts. The Home Widgets is where widgets placed on the homepage will be visible. The social icons in the footer also are made with a navigation menu. To add those create a new menu. Look in the left hand column for the “links” section. You’ll use this to add in your social icons. Just enter the full URL to your profile on the social network you’d like to link to. Add a label for it, the name of the network would be a good idea. Then add the link to your navigation menu. Repeat that for all the networks you’d like to add and save your menu. Then assign your menu to the “Social Icons” menu location. That will cause your icons to be visible there. Podcasting is at the heart of the Kerygma theme. To begin go to the Podcast section in your WordPress dashboard. Click Add New to create your first podcast episode. In many ways this works just like adding a post. The title of the episode is placed at the top. Any text that you would like to include is added to the main content box. To the right of the main content box you’ll see two boxes, one for series and one for speaker. These are ways you can associate your messages together. The series are for grouping messages together into series. The speakers box is for adding speakers to your messages. Both of these will form archives that can be clicked on by your visitors to see all the messages in your series and every message by the same speaker. Below the main content box is another box that allows you to add the media for your podcast episodes. Here you can upload audio files, notes files (PDF’s) and video files. If a video file is uploaded, it will be displayed in place of a featured image at the top of the page. To display video, it’s recommended that a third party service like Vimeo or YouTube be used if possible. There is a box in this section where you can place the embed code from one of these services and it will be used at the top of the page. When you add a message audio file, you will see the field ‘Link URL’ kept empty. If it’s empty, and you click on ‘Use as Message Audio File’, your audio file won’t be added to the Message Audio File field and will get a blank pop-up. 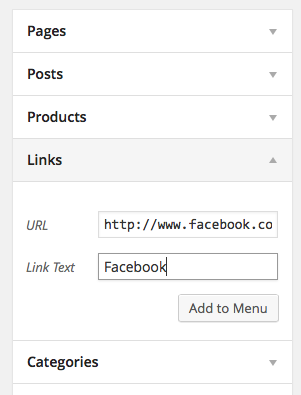 Instead, for the Link URL field, click either ‘File URL’ or ‘Attachment Post URL’. This will fill the field with the URL. You can then click on ‘Use as Message Audio File’. One of the key features of Kerygma is the utilization of message series. To create and edit your series, go to the Podcast section and choose series. Here you can create and edit series. Each series can have a title, description and series graphic. It’s recommended that each series use all three of these. As the series are created, you can add your podcast episodes to them. To display your podcasts, go to the pages section in your WordPress control panel and select Add New. On the new page screen, look on the right hand side for the templates drop-down menu. From that drop-down, choose “Podcast Series List” and publish your page. This will create a page for your site that lists all the podcasts series that have episodes published in them. Kerygma has the ability to display large “hero” style images and text at the top of a page. When you’re editing a page, look below the main content box and you’ll see one that contains the hero section. There you can enter a hero title and caption. It’s also possible to create a button with a link there as well. You can choose colors for the hero title, caption and button as well as the navigation menu too. That way you can choose text that shows up nicely against your images. The actual image that is displayed is the “featured image” of the page. You can add that in the right hand column in the “featured image” box. Once you’ve created your staff members, go to the pages section again and create a new page. In the right hand column, choose the “Staff List” template and publish your page. This will display all your published staff members on one page. We hope you enjoy using Kerygma. If you have any questions, please post them in the forum and we will be happy to assist you. Here are the recommended image sizes for use in Kerygma.